We Have Heard From You!! Please click here to view the public survey results. Click the picture above to watch the Mobility2040 video! Click here for a transcript of the Mobility2040 video! ¡Vea aquí la transcripción del video de Mobility2040! 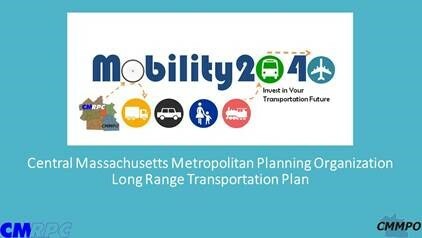 Mobility2040 is the Long Range Transportation Plan for the Central Massachusetts Metropolitan Planning Organization (Click here for information regarding the CMMPO). Mobility2040 is the long-range transportation planning document that describes the region's current transportation system and how that system should be maintained and modified over the next 20 years. Mobility2040 will act as a blueprint that helps guide the prioritization and funding of transportation investments for the Central Massachusetts region. Mobility2040 addresses each of the major modes of transportation within the Central Massachusetts region. It is considered both a multimodal and an intermodal document by providing an inventory of the major modes, identifies challenges and needs, and also provides a series of recommendations. Project-specific, and major transportation improvements need to be reflected in the planning document in order to be eligible for Federal-Aid funding through the region's Transportation Improvement Program (Click here for information regarding the TIP). The Fixing America's Surface Transportation Act (FAST) Act is the national transportation legislation that authorized the Federal surface transportation funding for highways, safety, transit, non-motorized transportation, and intermodal facilites. The FAST Act reiterates that requirement for the preparation of a Long Range Transportation Plan (LRTP) document every four years within regions defined as Transportation Management Areas (TMAs). Please click the picture above to watch a brief video explaining Mobility2040! The video details what Mobility2040 is, what the plan will accomplish, who is involved, previous accomplishments, funding, and public input. Why is Mobility2040 being updated? The CMMPO is required by FAST Act to complete an update of the plan every four years through a cooperative process designed to foster involvement by all users of the system, such as the business community, community groups, environmental organizations, the travelling public, freight operators, and the public. It is accomplished through a transparent and active public participation process conducted by the CMMPO. 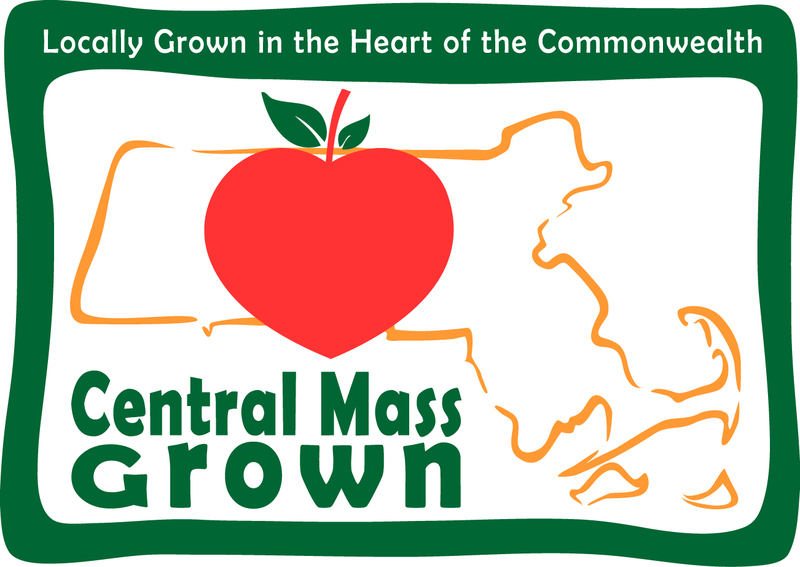 To review the CMMPO Public Outreach Program document, please click here. To view the Mobility2040, 2016 Long Range Transportation Plan, please click here. To review the 2012 Long Range Transportation Plan, please click here. How can I participate in the Mobility 2040 update planning process?? There are many ways for you to participate in the planning process. Complete the online survey, by clicking here. Para completar el cuestionario en Español, presione aquí. Telling us your priorities, by clicking here. Join us at a public meeting or community events, by clicking here. Stop by your town's public library or Town Hall and fill out one of our surveys there!